You must make reservations at least 5 minutes in advance of the time at McCray's Tavern - West Village. McCray's Tavern at the West Village is definitely one of Smyrna's hidden gems. Redefining the concept of American neighborhood bar and grill, this instant classic is a cornerstone in Vinings, and a local favorite. McCray's Tavern boasts 49 taps with an eclectic selection of draft beers that compliment its exceptional American fare. Everything is prepared from only the highest quality and freshest local ingredients. Besides our diverse menu, our executive chef always has something special to offer every night of the week. Creating specials such as bacon-crusted meatloaf, to Rack of Lamb, this local gastro pub serves anything but "bar food." This potent Irish twist on the classic Long Island, topped with Red Bull will put little jig in your step! McCray's will be serving a huge spread, buffet style, with over 30 items to choose from, along with our annual Carving Stations, Bloody Mary Bar, & more! We dined on a Tuesday evening and sat on the patio (party of 5, 4 adults and a child). When we arrived, the place was pretty empty (6:15pm). Our server's name was Tony (at least we think, he never introduced himself by name, we got it off the receipt). He was very unattentive and aloof the entire evening. We ordered drinks, they came almost 20 minutes later. We ordered appetizers, got them timely, however had finished them about 20 minutes before our entree orders were even taken!!! When taking our orders, our server looked around, seemed to be paying attention to passer-bys, etc .. one of our party ordered the Beer Battered Grouper .. "Tony" asked "would you like that fried??" .. I would assume anything with batter would be fried?? All in all, the food was excellent, the drinks, the value, the atmosphere was GREAT! Only thing lacking that evening was the service. We even had a table bet and timer going to see how long it would take him to bring the check, ring us out, and say goodbye - that was about 10 minutes. We will visit back, but would not like to dine with "Tony" as our server again. Great food, drinks and staff! Bloody Mary Bar was well stocked, and staff is very well trained and attentive. Been coming here for over 6yrs and never disappointed. Food was delicious and the portions are large. The turkey burgers are not greasy but flavorful and meaty. The nachos are also huge! I went out for f my comfort zone here and got the Filet; amazing! Service was perfect!You can not go wrong here! great, as usual! for an easy, comfortable night out, good food & friendly service, this is your spot! GREAT bloody mary bar for brunch in the weekends! Fast excellent service. The fish and chips were a bit greasy. Where we sat were long benches - uncomfortable to get in and out of. The chicken and waffle sliders are delicious! Outstanding food and second to none service by Abby! Excellent. A new favorite for us. The food quality has become poor - prepackaged gumbo is not tasty. Also, some of your other menu items taste prepackaged. Ambiance is comfortable BUT the music in the dining area is far too loud and conflicts with the comfortable seating and lighting. It seems you're attempting to create a club atmosphere which is not comfortable - can't enjoy the ambiance and conversation. Brunch here was great! It was a last minute decision and a great one! 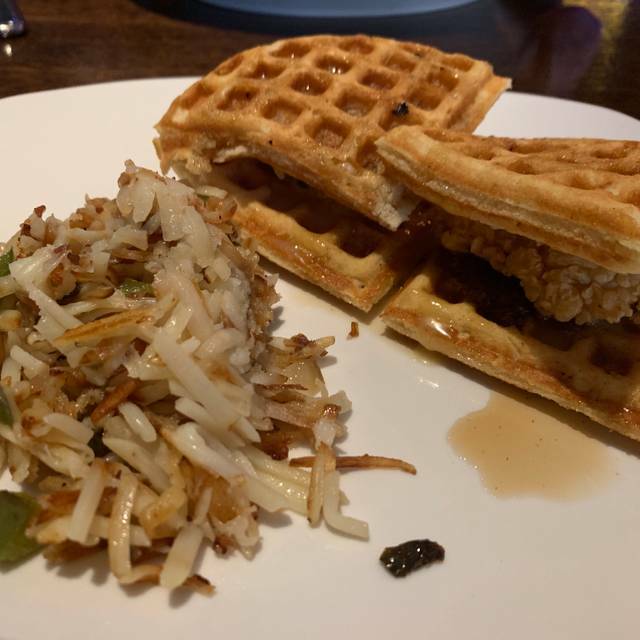 I had the chicken and waffle sliders and they were amazing! McCrays is always a good go to whether it be for food or drinks! Autumn was an amazing server, fast, friendly & efficient! Our meals were fantastic! We were actually there on January 31. It was good but I would not refer my friends. I think they would be offended by confederate flags in music videos. Service was good, just a little slow on getting the food out. No one ordered anything special and there was only 4 of us so not sure why it took over 20 minutes for our food. But it was good and everyone seemed to enjoy. Pleasant staff, casual and clean ambiance, good food. Our waitress was excellent, very friendly and helpful, even accommodating 2 from our party with drinks not on the menu. The food was wonderful!!!! Perfect for a Friday, end of the week kickback. Poor acoustics. A very loud place. Food and services were fine. Not a place to talk over a meal. Casual and good for a quick brunch to catch up with some friends. The Chicken and Waffle sliders were very tasty and had great flavor, but the waffle reminded me a little bit of an Eggo. The Bloody Mary bar looked AMAZING but unfortunately I was there before 12:30 and couldn't be served alcohol (Georgia laws.) Will go back when I want something casual and reliable and don't want that typical chain restaurant feel. Always a great time at McCrays. Great food and service everytime. Calamari is a slam dunk. Serives was very friendly and accommodating. Went for Father's Day and had a great time. Lot's of TV's for sporting events and a very broad menu. 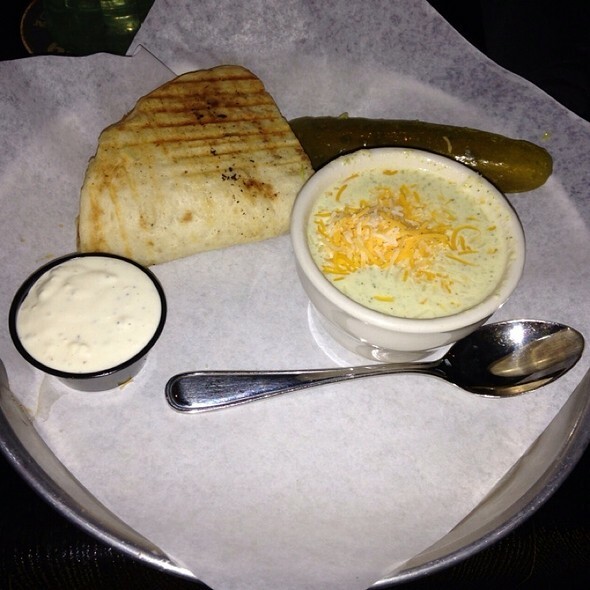 If you can't find something to eat that you like, don't blame McCray's. Went on Father's Day and was very surprised that the manager was ill prepared for a seemingly expected busy day. Made reservation for 5 and was seated at table for 10. Placed order and waited 45min for sub par food. Then received check and items that were supposed to be free, we were charged for. Great and attentive service. Thank you!! This was not my first visit to McCray's nor will it be my last. My wife and I needed a date night and decided on someplace close and convenient. The restaurant was crowded with basketball fans but we had reservations and were seated promptly. We both ordered an ale to start (McCray's has a nice selection of beer and ale) and looked over the menu. I decided on the Matador with a side on onion rings. My wife chose the Reuben with a side of sweet potato fries. The Matador was delicious combining the sweetness of jam, the spiciness of jalapeno, and the richness of ground beef. The onion rings were also excellent. 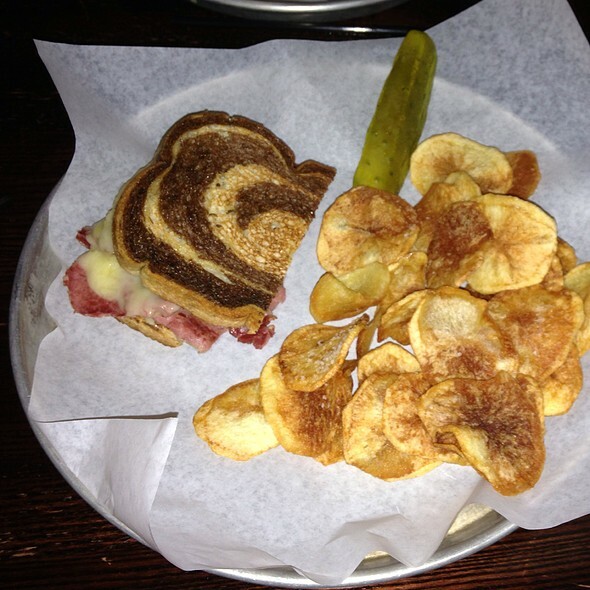 The Reuben was also well prepared and a "heap of food" for my wife. Sweet potato fries were prepared to perfection and so much better than regular fries. It was just good old fashion pub dining at its best. Now, for those looking for a quiet setting this is not your place. It was a bit noisy due to those watching the game and the tables of families with children enjoying a night out. Putting that aside, my wife and I are used to a bit of noise, it was a great night out with excellent food. Great restaurant with first class service, nice casual atmosphere in a great location. Food was great... steamed pork buns is a must try. Cobb salad was delicious. The beef was cut too thick and a little too rare. Using the bar as a serving platform was too high. 4 of the 6 people in our party were 5ft 2 and under . A 62 year old should not have to stand on her toes to serve herself and will not again! We took the entire family to the Easter Brunch. A little pricey but we enjoyed the food and like the atmosphere. The Easter brunch was excellent. The food and service were very good. I would recommend it to others considering a family holiday meal. 1st time and it was ok. Nice location and ambience but the food was mediocre. My hubby has the steak and asked for medium rare, it came out well done and tough. I had a burger which was good but more on the warm side than hot with Gorgonzola chips that were a little hard for my taste. Son had the chicken parm which he said was good with fries over cooked. So not bad enough that I wouldn’t return but would hope the food would be better next time. The waitress was attentive and friendly.